Home Video News Best Prank Ever. Please, Don't Shoot me. Best Prank Ever. Please, Don't Shoot me. 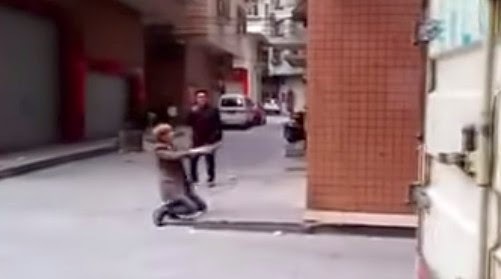 Just Fun Videos: Not trolling... but why would someone get shot from this prank? And where did your source of info come from? Wong Beng Wai: Someone posted similar prank. The prankster got shot by a police/agent. Also happen in China. Why I comment not funny is actually to hope that I can discourage potential prankster from getting into the same trouble. Wong Beng Wai: I saw it on Facebook. And I manage to find the link in YouTube. The video I saw did show blood. But this version I think they have cut it out.